Brian Anthony Kappauf, 43, of Charlotte, NC, passed away on April 1, 2015. He was born in Baltimore, MD on April 19, 1971, to Mary Ann Carrick and Robert Kappauf. Brian graduated from Mount Saint Joseph High School in 1989 and went on to become an electrician. He enjoyed sports (especially football and lacrosse), fishing, gardening, cooking, and he loved animals, taking in many stray cats and dogs. Brian was able to help others in need by being an organ donor. Brian is survived by his cherished mother, Mary Ann Carrick and step-father, Thomas Carrick and his beloved father, Robert Kappauf and Linda Kappauf; his loving siblings, Sharon Welsh, Daniel Carrick, and Justin Kappauf; and many dear Aunts, Uncles, and Cousins. The family will receive visitors at Singleton Funeral and Cremation Services, P.A., 1 2nd Ave, S.W. (at Crain Hwy.) in Glen Burnie, on Thursday, April 9, from 3-5 and 7-9 PM. A Mass of Christian Burial will be celebrated on Friday at 12:00 noon at Holy Trinity Catholic Church, 7436 BandA Blvd in Glen Burnie. Interment New Cathedral Cemetery. 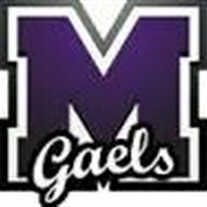 In lieu of flowers, donations in Brian's name may be made to the Mount Saint Joseph High School Memorial Fund in memory of Brian Kappauf - Mount Saint Joseph High School, 4403 Frederick Avenue, Baltimore, MD 21229.